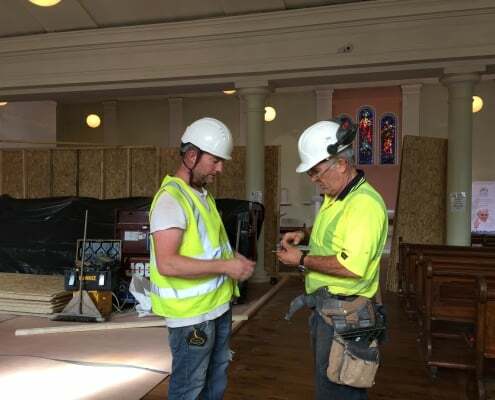 We are proceeding with the recommended project of the replacing of the southern gable wall and re-slating the roofs, as well as the necessary re-wiring of the church and the work on the sacristy. Tender documents for these works were issued to four contractors on 30th May 2018. The lowest tender was submitted by Joseph McNamee & Co. Ltd and this was chosen by us and the Diocese. The tender amount is €457,500. In addition to these costs, there are other costs, including professional fees. This brings the total anticipated cost of this infrastructure work to approximately €575,000. The builders started work on 20th August and the project could take up to 6 months. 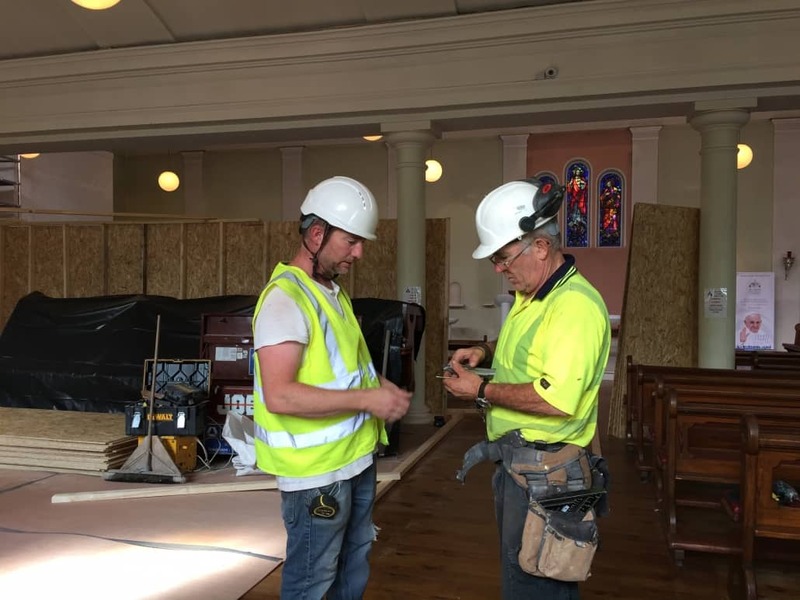 The parish has sufficient resources to fund this work. An estimate of the cost for these follow-up works is that it will be in the region of €200,000. 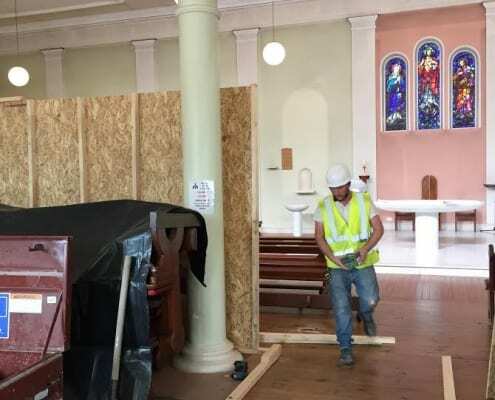 Since our recent appeal to parishioners in April we have received €103,000 in donations. We are most grateful for this wonderful level of support. Further donations will enable us to address all these follow-up works. Please note that we have a very special target date for completion of all these works. 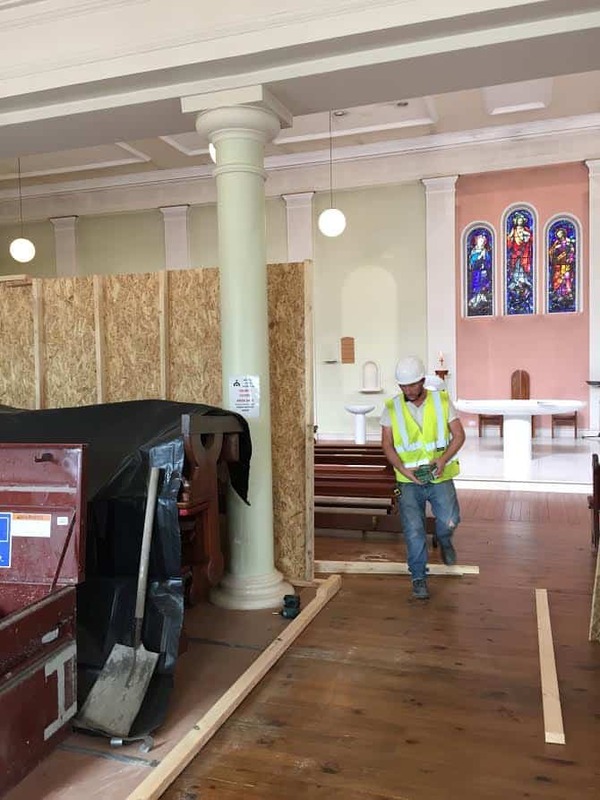 We discovered a special Foundation Plaque dated 30th November 1819.This is a wonderful milestone in our parish’s history, and one which we should meet with a church in sound structural and aesthetic condition. 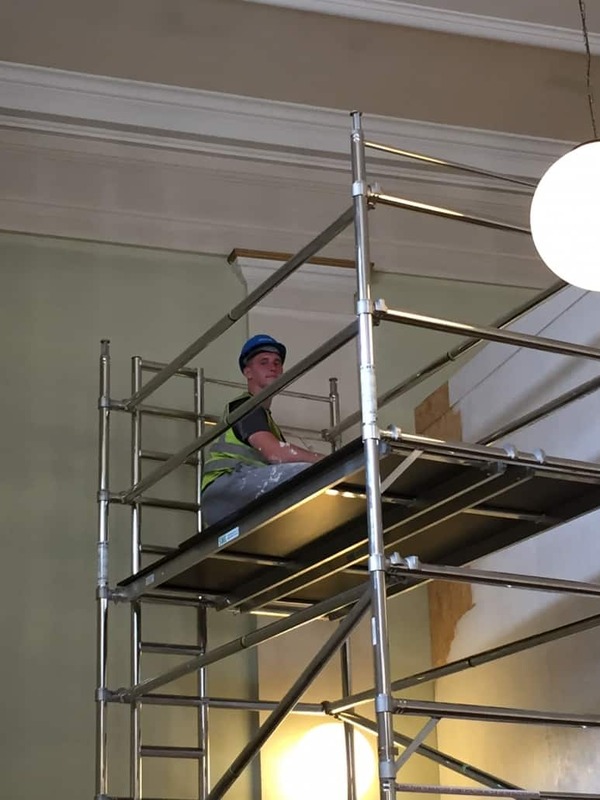 We very much hope that you can give your support to all this work and your donations will be very welcome. 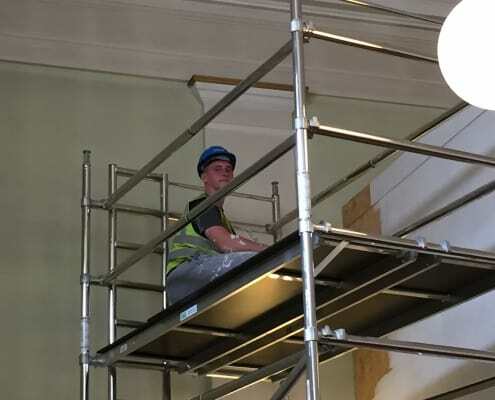 The builders Joseph McNamee & Co Ltd started on 20th August. The necessary infrastructure works will take up to 6 months. Work is progressing on schedule.